Michell, John. At The Center Of The World Abebooks Powell's (NY: Thames & Hudson, 1994). Hancox, Joy. The Byrom Collection Abebooks Powell's (London: Jonathan Cape, 1992). The Hermetic traditions of the Renaissance made use, broadly speaking, of three correlated systems in their attempt to comprehend the physical and metaphysical worlds. Two of those forms — magic, the universe expressed as symbol, and alchemy, the universe expressed as substance — have been fairly well known all through the modern Hermetic revival. The third, once known as mathesis and now more commonly called “sacred geometry” — the universe expressed as pattern — received far less attention for many years, although a series of important reprints and new publications in the last decade or so has done a great deal to redress the balance. The two books reviewed here each build, in a different sense, on that foundation. John Michell’s name is a familiar one not only among students of esoteric geometry but in the wider circles of what might, unkindly, be called fringe studies as well; his seminal The View Over Atlantis (1969) taught most of a generation about ley lines and megaliths. Central to much of his work, though, are ideas of proportion, geometry and numerical symbolism drawn straight from classical traditions of mathesis. These ideas hold center stage in his later works City Of Revelation (1972) and The Dimensions Of Paradise (1988); much of Michell’s work since the date of this latter has focused on the role of sacred geometry in the traditional geography of various ancient cultures. At The Center Of The World is a part of this project. Beginning with the image of the central hearth (in Latin, literally, focus), Michell goes on to explore the linked concept of the omphalos or world-center as the ritual locus of ancient systems of sacred kingship. He then maps out a series of traditional assembly-places in northwestern Europe, each standing at the geographic as well as the symbolic center of its surrounding region. The canon of numerology and geometry which Michell sees as underlying the whole system is outlined in a final chapter. One possibly disquieting part of this exploration is Michell’s proposal that the revival of a sacred monarchy and its associated omphalic center be used as a framework for the political reunification of Ireland. The Western esoteric tradition has a long history of becoming entangled in politics, dating back at least as far as Pythagoras, and a great deal of that involvement tends toward precisely this kind of revival of archaic forms; Plato’s Republic and Laws provide the classic examples. In practice, however, the mixing of politics and spirituality tends to debase both (would anyone actually want to live in either of Plato’s totalitarian utopias? ), and it’s to be hoped that Michell’s proposals — harmless as they probably are — don’t encourage the direction of more energy down this particular blind alley. Still, as an introduction to the ways esoteric geometry can relate to the original meaning of the word “geometry” — earth measurement — At The Center Of The World is a good choice; it develops its themes capably, and does so (unlike, for example, much of The View Over Atlantis) using evidence which can be assessed by the methods of the ordinary historian. Those interested in Celtic and Norse traditions will also find it worth reading. Joy Hancox, the author of The Byrom Collection, is anything but a household name in esoteric circles, and her own contact with the Hermetic tradition came through the unlikely route of local historical research concerning a Manchester farmhouse she purchased. The collection of documents she unearthed in the course of this research, however, deserves much wider attention from esotericists than it has apparently received so far. A set of 516 geometrical drawings of varying shapes, sizes and topics, they may well prove to comprise the single most important body of work involving sacred geometry available in modern times. The collection apparently belonged to John Byrom, an eighteenth-century Freemason and fellow of the Royal Society, whose accomplishments included the invention of the first phonetic system of shorthand; the sources and earlier history of the documents in it are anyone’s guess, although Hancox makes some plausible speculations in her exploration of the collection and its history. Drawings shown in the book (a small fraction of the total) include Cabalistic and other esoteric diagrams, intricate geometric constructions, and architectural plans — including what are apparently the setting-out plans and elevations for all of the major theaters of Elizabethan London, including Shakespeare’s Globe. The obvious first question, given something of this scale, is whether the collection is a modern forgery. While a firm answer will have to rely on specialists in the subject, there is at least one point which argues for its authenticity — the fact that Hancox herself seems to have little notion of the meaning and significance of many of the drawings. 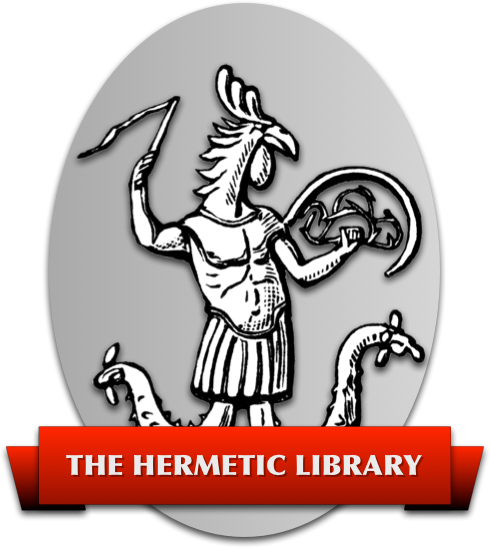 Her efforts to educate herself about the background of the collection are praiseworthy, and included both academic and esoteric sources; still, scholars and Hermeticists alike will wince at a fair number of the statements and conclusions she makes in the book. The Byrom Collection nonetheless provides a helpful introduction, both to the collection itself and to the milieu from which it appears to have come. The real value of this book, though, is in its reproductions of the drawings. Most of them are highly legible photographs, clear enough to study in detail, giving the book real value to the practicing sacred geometer. Something more will be needed, though, if the potential of this remarkable discovery is to be realized. The best of all possible worlds would be a full-size facsimile edition of the drawings, but almost any further publication of (or about) these documents would be a welcome event.